5 Acres & A Dream: Trailersteading: Book Review & Giveaway! 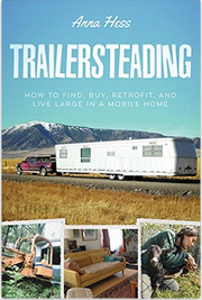 Trailersteading: Book Review & Giveaway! I'm a huge Anna Hess fan. Not only of her blog (The Walden Effect) but her books too. They are good additions to my homesteading library shelves. I like her writing style, information, and voice of experience. Her books are invaluable to both beginning and experienced homesteaders, and with every one I read, I learn a lot. Her newest book is a winner on all counts. Trailersteading: How to Find, Buy, Retrofit, and Live Large in a Mobile Home. 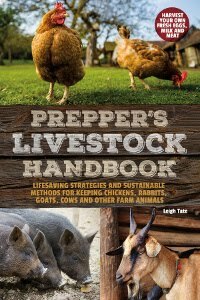 This book is exciting to me because it falls into the much needed category that I call "homesteading for the rest of us." I say that because I've read a number of how-to books on homesteading that left me more discouraged than encouraged. I would put the book down and think, "There's no way we can ever afford to do all that." This book is for those who yearn to homestead but don't think they have the savings or income to make it happen. Introduction: Why live in a trailer?, What is a mobile home? Mobile homes as tiny houses: The tiny house movement, How small is too small?, Realities of life in a tiny house, etc. Disadvantages of trailer homesteading: Why we don't all live in trailers, No basement, Depreciation and permanence, Aesthetics, Zoning, etc. Finding and moving to the land: The ugly-duckling property, Moving and installing a trailer, etc. Remodeling a trailer: Trailer overhauls, DIY insulated skirting, Adding a pitched roof to a mobile home, etc. Heating and cooling a mobile home: Is energy use a trailer's Achilles heel?, Low- and no-cost heating and cooling options, Scarlet runner beans and permaculture tacos, etc. Around the trailerstead: Rain barrels, Greywater wetland, Experiments with humanure, etc. Case studies throughout the book share real-life experiences of those who are fulfilling their dreams to homestead comfortably and affordably by living in trailers and mobile homes. At 216 pages, Trailersteading is book 2 in Anna's Modern Simplicity series. It is available in both paperback (list price $14.99) or Kindle edition ($5.99), BUT! I have a paperback copy that I'm going to give away for free! All you have to do is leave a comment and you're entered! Simple as that. Honestly? This is an option that Dan and I seriously considered. If we hadn't gotten such a great deal on our current home and property, we would likely be one of the testimonials to trailersteading. And sometimes we wish we'd gone that route, because we often think that the time, energy, and money it takes to DIY an old fixer-upper like ours could be better spent on other areas of the homestead and fulfilling our dream of self-sufficiency. I'll announce the giveaway winner on Sunday, February 28th. Trailersteading: Book Review & Giveaway! © Feb. I would love to win this and give it to some good friends; I think it would inspire them that their dreams CAN come true! Living in a trailor/caravan is the only way some people can follow their dream here in the UK too. I don't think I have ever seen a book on this subject before, it will fill a gap I'm sure. I lived in a trailer many years ago, right out of high school; I loved my little home! This book is going to be interesting...thank you for letting me know about it! Permaculture tacos sure sounds intriguing to me, please add my name to the hat! Sounds like a good option for those of us without a lot of money. I would love this! Currently renting the farm we are on now. Trying to decide where to go next. Have thought about this option with some land of our own. Thank you for the opportunity! I have a few weird constructions made out of metal in my land and I think this book could help me make them more energy efficient and lees toxic. Please add my name to the list. I need this book! Seriously. I live in a 40+ year old mobile (it was only 20+ when we moved in) that needs a lot of work. The original plan was to replace it, but honestly I don't see that happening unless I win the lottery. Hard to do when I can't seem to match more than 1 number. I've done a few things, but could use some guidance for sure. In the early 80's (whew it doesn't seem that long ago) my ex husband and I bought and lived in a 28 foot RV trailer. It was very liveable and this was up north. The biggest problem we had was condensation and we solved a lot of that with ventilation and passive solar. The new trailers are so much better and they are an excellent option to give you the step in the door to your own land. Even Doublewides can save you a ton of money over stick built. If a person can just get on the land, it is such a huge step in the right direction. On our way to town we pass a place that has taken part of a single wide trailer and turned it into a very neat storage building. Interesting post, please excuse the rambling! Looks like good reading, especially the remodeling of an old trailer. I'm a fan already of an author who writes on trailers and scarlet runner beans in the same book. What an interesting idea for a book! Tiny Homes interest me, but this focuses on the homesteading part. That's what we really want to start...with 3 young kids and moderate funds. Sounds like her book would be perfect! I would love a chance to win it, thanks! Just the book I've been looking for! I would love to win and expand my knowledge. What a cool book! We have been going back and forth with this idea for years! Just two weeks ago we bought a 2000 Motor home, no bells and whistles, just something to give it a try and see if we really like the whole idea of "totally mobile" Would love to win- thanks so much for the chance! I'm in! Sounds neat, Leigh! But do the sheep pull the trailer, or ride on top? LOL! Hugs from the SW! L'il Rascal sends his purrs regards! A great idea for cheap housing that I am currently looking into for our move back to the land. Love your blog! I lived in a trailer when I was young. Loved it too. Thanks for the opportunity to win! You know I can say this anonymously...but sometimes I wish I were on my own so I could homestead just the way I want. I love my bf but he's more connected to the grid than I want to be. I would love to live simply in a trailerstead, the idea has crossed my mind. In fact before I met my bf, my plan was a cross-Canada trailer trip...with no return in sight! If you have a chance, why not look up Jill Redwood. She's a great inspiration. She's an Australian lady who's been living off grid on a small homestead for over 30 years. She doesn't have a blog, likely no internet on her homestead. But if you look up "Calamity Jane:Living Off Grid" a short series of videos are available. Sometimes I think she's got it right! I would love to win this book. We actually bought an old fixer upper (1935 house) on 3 acres in a rural area of Missouri. It has severe basement issues and needs a new roof. We have been discussing if it worth fixing up the house or just bringing a trailer out and setting it up when the house is no longer livable. Thank you for the chance to win this book. That's our dream - to get an RV and travel the country! Funny how some think you're crazy for it, but I really think I'd love it! My husband and I live in a 16x70 mobile home that we paid 3000.00 for it cost us 1200.00 to have it moved and "set up". It was and is in amazing shape has a fire place, jacuzzi tub and other awesome features. The floors were solid as as were the walls and roof. Here in oklahoma many people live in mobile homes it's an economical way to live for those of is that wish to live debt free and cash only. My husband and I only owe for our land and that is almost paid for. We do not have credit cards, or even a bank account. We are truly cash only folks. While trailersteading is a cute title it is simply a more economical way to live for those wishing to live debt free....not some novel new idea! .....LOL....our home looks like a normal house inside. Nice mobiles are easy to find and not expensive at all. Just do your homework and ask around! Today's mobile homes are certainly not what they were 30 years ago...many are just a nice as a stick built home for a fraction of cost! We currently live in a trailer. In a trailer park no less. We would love to get some land and move our trailer. We have already been researching ways to improve our home with regards to looks and efficiency. This book would be a super addition to what we are researching. i would love to be considered for a copy of the book! my husband and i are saving for a piece of property to call our own and are on a VERY tight budget (who isn't these days) and are looking to go the tiny house route once we have a spot to put it on. it would be awesome to have a book like this to help us on our way! I once thought I could live in a trailer in the middle of nowhere....until another blogger I follow had to move into her shed because the trailer was so freezing - and they are in CA!! would love to win it. have m.d. creekmore's dirt cheap survival retreat,which made me think it is doable. i always tell him, 'when we move to our cardboard fridge box under the freeway underpass', because that is about our speed! i want to have my own garden someday and plant fruit trees even if the fruit goes to whomever comes next. This would be an ideal book to win .......and to read while inside my little rv. I've already got a copy, so you don't have to enter me in the contest; I just wanted to say that I completely agree with your assessment of the book. :-) After I read it, I couldn't stop thinking about trailersteading for weeks! Sounds like a great book to use for setting up a trailer, small shouse. Please entry my name in your give away. Sounds like a great book to have in any personal library! I would love to win this! We recently renovated a vintage trailer and moved it to some land and would love to learn more about how to live in it comfortably. Interesting timing, this... We are in the process of getting our house ready to sell to move to a larger piece of property without a house. This was one of the options on the table until we can build... Cool deal! I would love to win this as our dream is to homestead, but don't think we'll ever be able to afford it. Thanks for the chance to win. 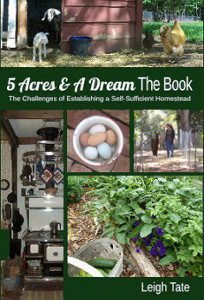 I enjoy reading your blog as it inspires me to believe that it is possible to start homesteading. I would love this book! As a college student I love the tiny house movement and the freedom it symbolizes. This definitely looks like an interesting read. I live in a small house, not a tiny one, but certainly too small by most people's standards. I'm always looking for ways to maximize my space and make it more efficient. I'm sure I could learn a few things from this book. I guess I missed the give-away. Found this page too late. But living in a trailer has it's perks and challenges. Downsize from a house and it's a bit cramped in a 34ft trailer with a dog and cat. Learning about living with a minimal footprint has been interesting.